Hey are you guys on Discord yet? Just curious or slack by chance? Interesting My Pocket Chip still runs ok tho. There’s an archive of all the various weblinks on git somewhere I think…also links to current flash methods etc. I used mine for retro gaming and writing in the go, but due to the nand it became unreliable, I am hoping for a better option soon from the nexus board. I am not on discord. I don’t have whatsapp. I like physical copies of my games and still buy atari 2600 games. Yep, I am a legal dinosaur. I am not on discord. I don’t have whatsapp. It might take up a lot of room, but at least I know that I won’t lose my games if my console breaks. and why I think we should be working towards utilising it more. I’ll admit, I envy this. My oldest console is a GBA. This all reminds me how I miss buying a game and manipulating an actual cartridge or CD and read a nice game manual holding it in my hand… That’s almost like a gamer ritual… I loved that. Yeah. I still have all my old GBA boxes and manuals. I’ll make sure to make a manual that people can print out. The modern equivalents of D&D? Board games are now more than what they used to be. Here’s a small part of my collection. Many boardgames now are more involved. Some of them, like CharterStone actually make you evolve the gameboard permanently as you play. And at the end of the campaign you end up with a unique game that no one has the exact same game board. 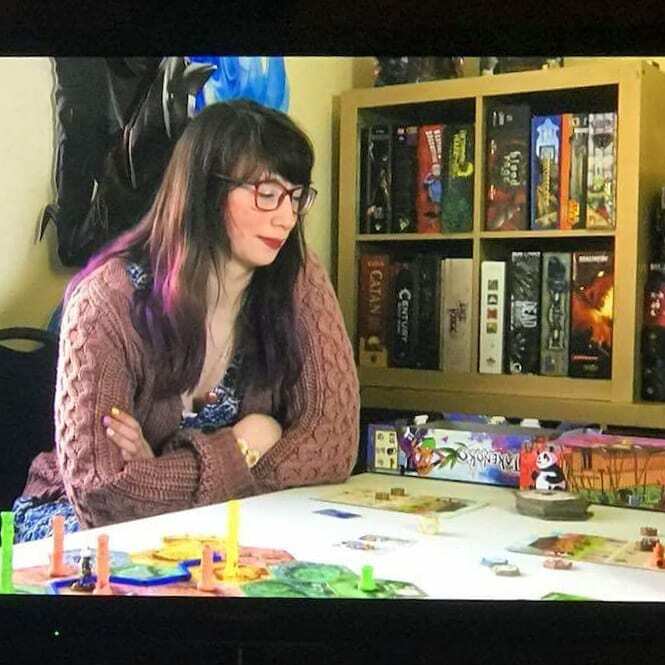 I pretty much swapped my videogame addiction to boardgame addiction. I’ve never even played D&D. The last board game I played was probably Cluedo or Monopoly. Here’s a small part of my collection. Many boardgames now are more involved. First video games imitate board games. Then, board games imitate video games. I can’t remember what it was called, but when I was at college, some of the students were playing with a card set where some cards were blank so you could create your own. There’s some great 1 player boardgames as well. 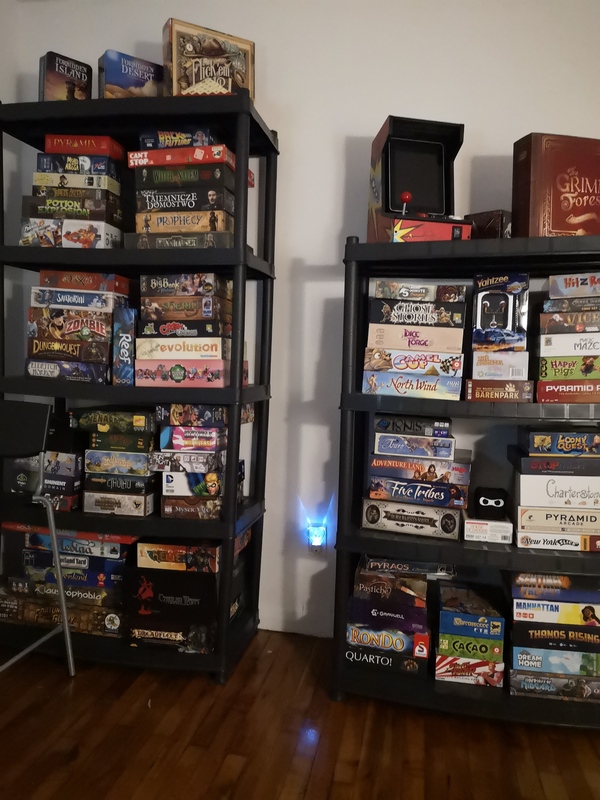 If you love board games and enjoy playing them alone, make sure you check our list of Solo Board Game reviews and have fun all by yourself. I do have 2 out of 3 you mentioned, that picture is showing about 1/3 of what I have. You got the 2600 with the wood design ? We should try the Discord thing. Back to boardgame talk. War is the only board game you need. It lasts as long as you still have friends. Now I make single-player videogames.